Since our inception, we are one of the reputed manufacturers, exporters and suppliers of different types of water fountains, water spouts and water falls. In addition, we also offer services like fitting and installation of our quality range. Our prime concern is to provide customer with complete satisfaction with the high quality products which provides style and elegance to the interiors where it has been used. We make sure that every product is up to the mark to perform as per the clients’ expectation. Our wide industry knowledge and a diligent team of creative artists and designers have enabled us to achieve a status of repute in the market. Our services are also in conformation with the upcoming standards which has enabled us to pitch in for a wide client base. Our strict quality prototype allows us to conduct various quality tests to assure that quality standards of our range match with the international standards thus ensuring complete client’s satisfaction. Further, we also maintain coordination with our clients by emails in regard to processing of order and arrangement of shipment and shipment tracking so that our range is delivered within in specific time. Bird Bath Fountain is manufactured by Concept design & the same has been exporters and suppliers of different types of water fountains, water spouts and water falls. In addition, we also offer services like fitting and installation of our quality range. Our prime concern is to provide customer with complete satisfaction with the high quality products which provides style and elegance to the interiors where it has been used. We make sure that every product is up to the mark to perform as per the clients’ expectation. Foam is created by the entrapment of liquid or gas. Foam fountains is an entertaining medium is basically work on foam creation. In general they are used in the play schools, shopping malls, parks or in wedding ceremonies. 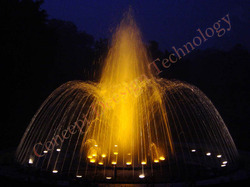 Royal fountains and equipments are manufacturing six basic types of foam fountains within affordable price range. Concept design are one of the leading manufacturers of Ball Fountain With Foam Jets. These fountains with foam jets are easy to install & maintain and accredited among our clients for their supreme finish and attractive design. Manufactured in compliance with industrial standards, these fountains with foam jets are capable to enhance the beauty of the surroundings. 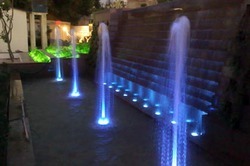 These fountains are available in distinct design and styles. Furthermore, clients can get Ball Fountain With Foam Jets from us at feasible prices. The range of different kinds of fountains which we offer to the customers is inclusive of a high quality of Double Dome Fountains which form the shape of a dome when the water sprinkles out of them. These fountains have been made using the best technology available in the market and they offer a high performance to the customers. 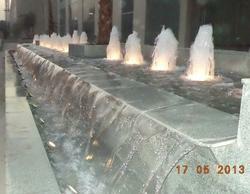 These fountains are available in various sizes and they are easy to install. They are used for decorating malls, hotels, airports and other places. The range of different kinds of fountains which we offer to the customers is inclusive of a high quality of Spout jet Fountains which form the shape of a dome when the water sprinkles out of them. These fountains have been made using the best technology available in the market and they offer a high performance to the customers. 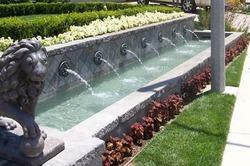 These fountains are available in various sizes and they are easy to install. They are used for decorating malls, hotels, airports and other places. Concept Design provide various types of small geyser jet fountains for our clients across the country. The fountain base is made of premium quality raw material and designing is done as per international quality standards. 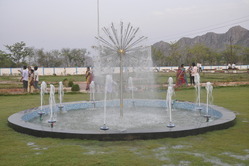 These fountains can be used as a decoration in any park, garden, lawns, courtyard. Trickling Water fall with Vertical Jet are one of nature's most captivating sights. Cascading down from their heights, they always create a sense of wonder that nature could form such a beautiful piece of artwork from rocks and water. Man has long since tried to recreate this natural phenomenon with much success, but such success requires detailed design and careful construction. In our waterfalls, we blend the beauty of natural stone with the strength of poured concrete to create a natural looking waterfall that will last a lifetime. The equipment we use is of the highest possible quality in the industry and can be installed by our trained fountain construction division. Foam fountain and Waterfalls are one of nature's most captivating sights. Cascading down from their heights, they always create a sense of wonder that nature could form such a beautiful piece of artwork from rocks and water. Man has long since tried to recreate this natural phenomenon with much success, but such success requires detailed design and careful construction. In our waterfalls, we blend the beauty of natural stone with the strength of poured concrete to create a natural looking waterfall that will last a lifetime. The equipment we use is of the highest possible quality in the industry and can be installed by our trained fountain construction division. Looking for Outdoor Fountain Manufacturer ?